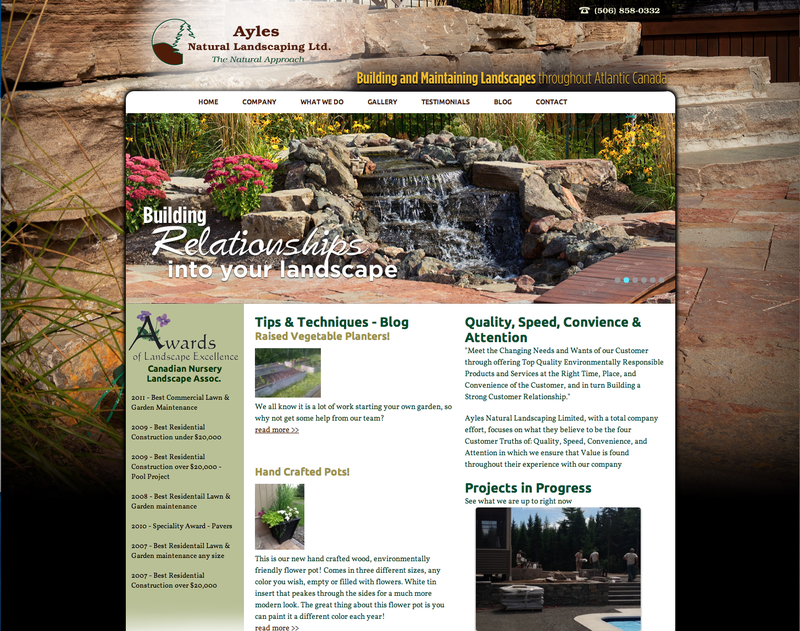 Ayles Natural Landscaping is an award winning landscape company in Moncton New Brunswick. The bring a dedication to total customer satisfaction and professional workmanship and are leaders in the green industry. They needed a website to showcase their innovative projects and inform customers on their unique approach to landscape maintenance and design.